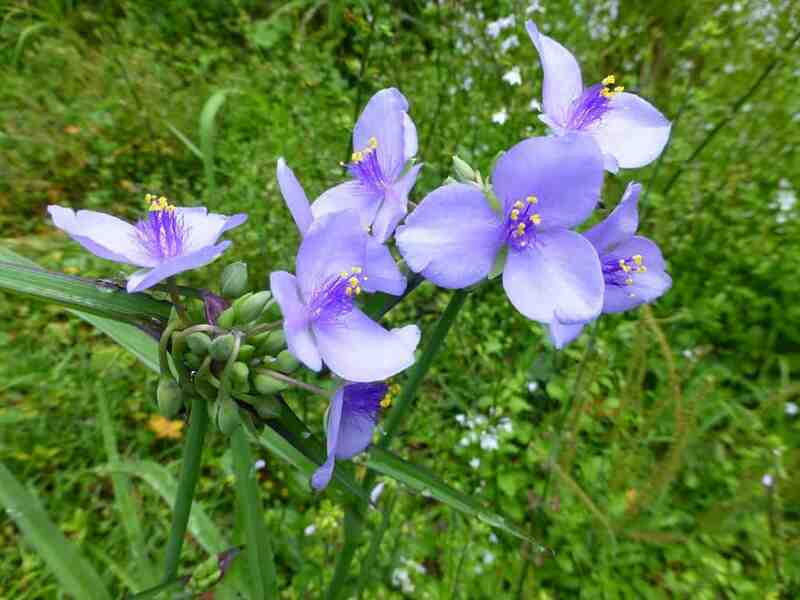 March is the time of year when Ohio spiderworts (Tradescantia ohiensis) start to grow again after their winter sleep. Clumps of their bright green foliage can be seen dotting the lansdcape. Clusters of bright blue flowers can be found busy with bee activity. Heat the olive oil in a (7 ½”) small cast iron skillet over medium heat. 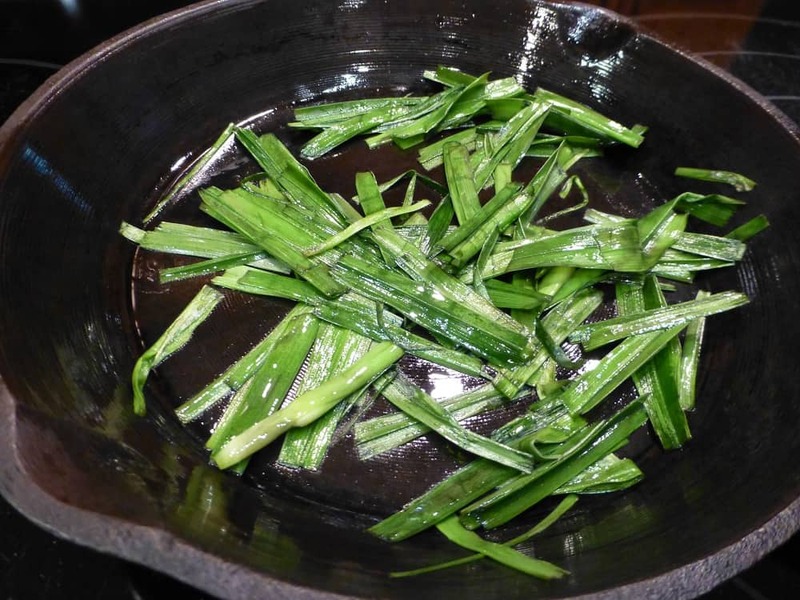 Once the pan is heated add spiderwort and cook on medium heat until well wilted about 1-2 minutes. Stir frequently to keep it from browning. In a medium bowl, beat together eggs, half ‘n half, salt and pepper. Add diced ham and shredded cheese. 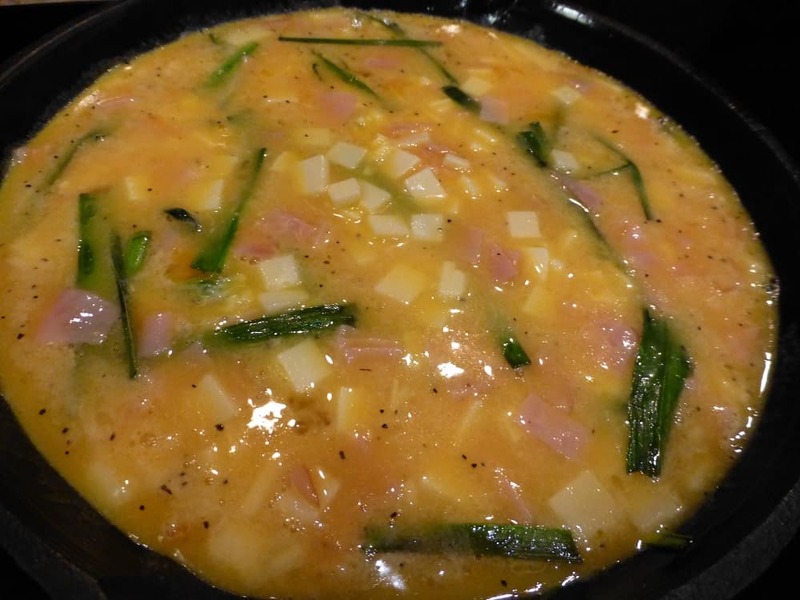 Pour into the skillet over the spiderwort. Reduce heat to low. 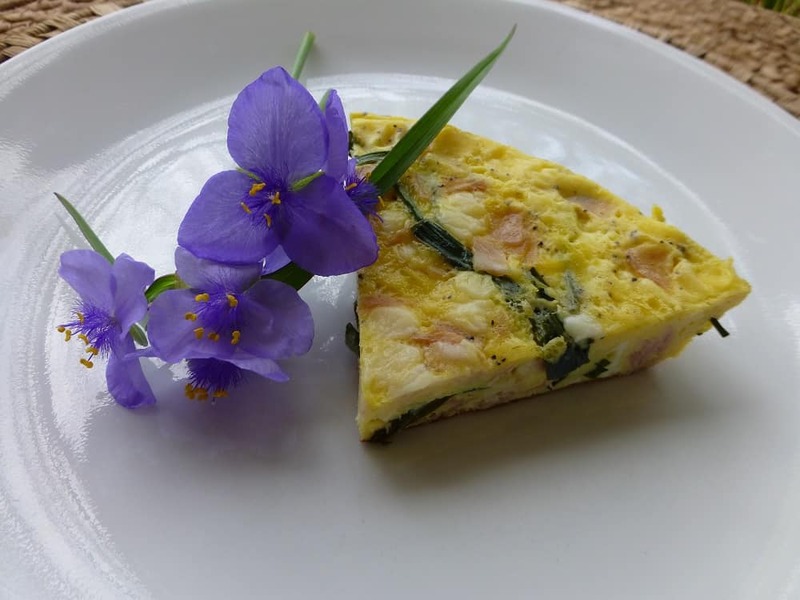 Very lightly stir spiderwort into eggs to evenly distribute. 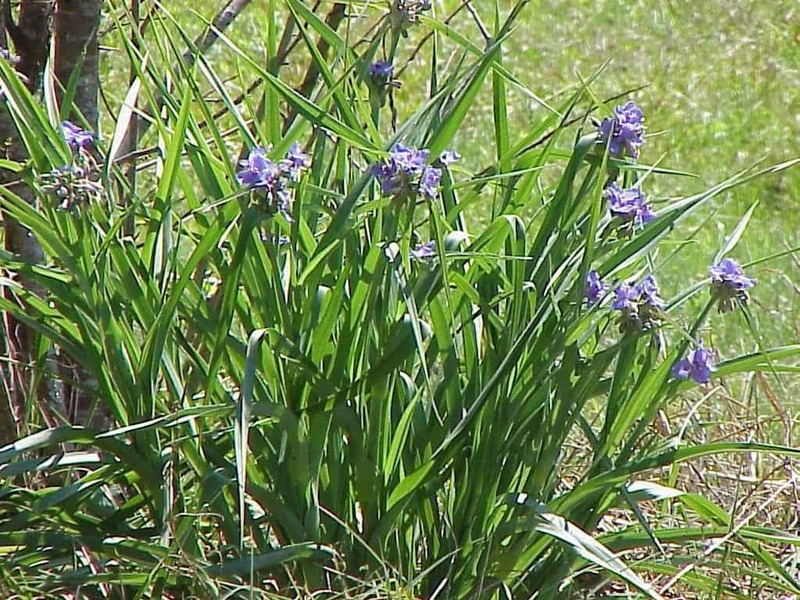 A fork is a good tool to gently shuffle the spiderwort around to evenly distribute it. 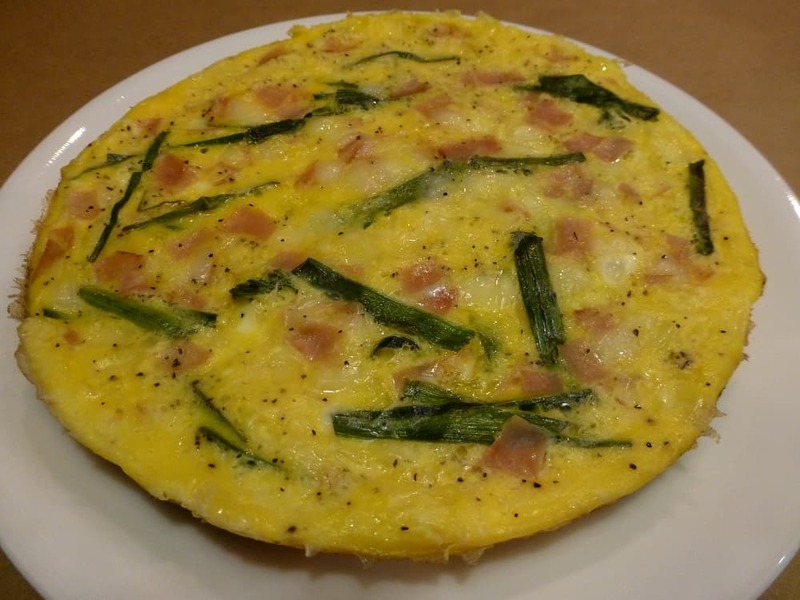 Place a cover on the skillet and cook for 25 to 30 minutes, or until eggs are firm or set to your liking. Of course there are many variations one can choose. The cheese can be anything you have on hand … as much or as little as you desire. Meats and/or vegetables the same. The possibilities are endless.